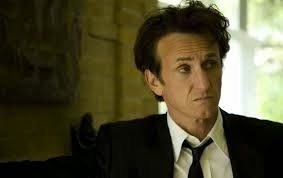 Totally Off The Subject of 2666, Doesn’t Bolano Remind You of Sean Penn? Yah kinda. Even though I think Sean is sexier. I think they could be doubles. Incredible how they have the same head shape, nose, expression. Yes ….that's the answer. Yes. Ha. 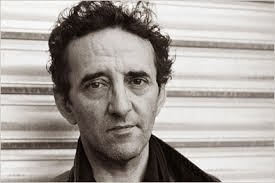 Naturally, Penn will play Benno von Archimboldi in the Hollywood version of 2666. He will project being a seven-foot tall, 80-year-old German. In his younger days, yes. Now he looks like he's made too many bad choices. Rugged turned ragged if you ask me. Now I'll really have to learn about Archimboldi to see if Penn could possibly carry him off. Well, of course. 🙂 HAPPY BIRTHDAY!!!!!!! OMG! They could have been separated at birth! I was just thinking he reminded me of Vincent Cassel – well, in a certain light, from a certain angle. Hehehe – best 2666 post so far! Yes! I can see it! I've always felt terrible for thinking this, but whenever I see a photo of Willa Cather I'm reminded of a young(er) Alec Baldwin.